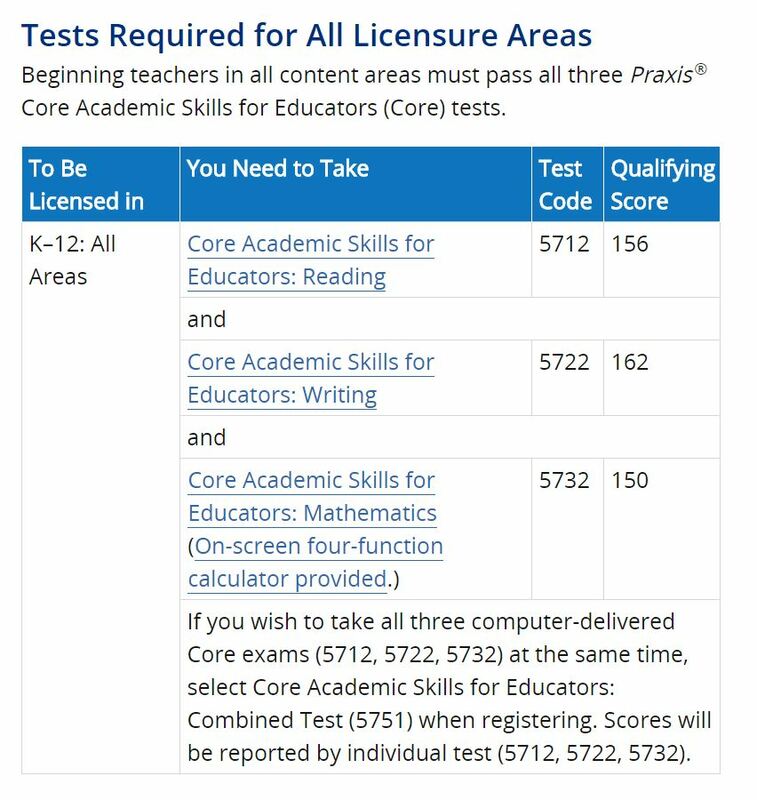 How can you be exempt from taking the Praxis Core? *The old SAT Writing score is not considered in either the total SAT score nor is it a way to be exempted from the Praxis CORE Writing. **ACT and SAT scores cannot be combined according to NC state policy. Students should visit the ETS website to sign up http://www.ets.org/praxis/register and then select the nearest testing center, which in most cases will be the testing center at Appalachian in the JET building. YOU MUST USE FIREFOX OR INTERNET EXPLORER BROWSER TO REGISTER. The openings for these computer-based tests will be visible on the ETS website. Be sure to take note of the password and login information, and once you get your scores online, print a copy for your records. Caution: It is possible that North Carolina will change the policy to eliminate the composite score, but for now, they will accept the composite score. Test re-takes: An examinee may take each part of the Praxis Core test once every 21 consecutive days. This policy applies even if the examinee canceled the scores on a test taken previously. A student can take each part of the test a maximum of six times in a twelve month period. Below is how the tests are listed on the ETS site and the relevant test code(s). Visit our study resources page for campus resources, an interactive ASUlearn course, and more!